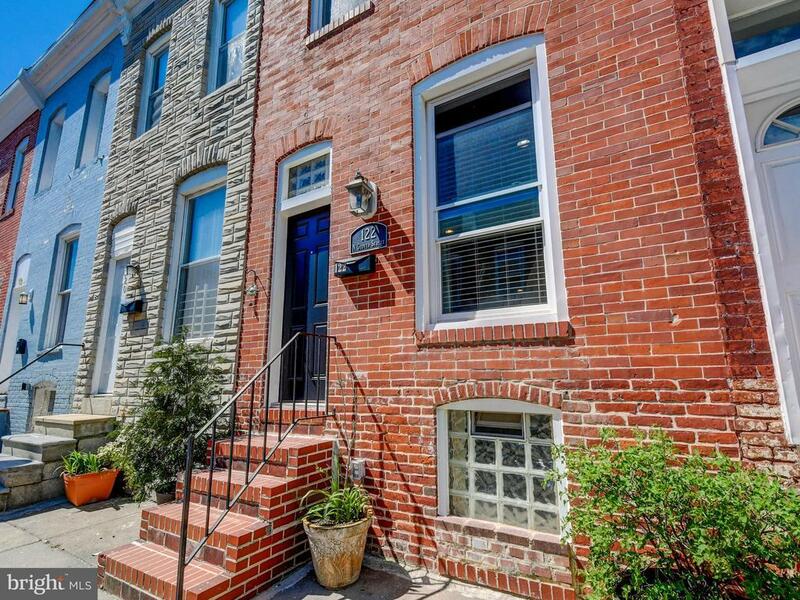 Stunning 2 bedroom, 2 bath rowhouse 1 1/2 blocks from the amazing Patterson Park! Hardwood, new carpeting, and tile flooring throughout the property. Spacious living room/dining room combo. Kitchen holds granite countertops, a beautiful back splash, pine cabinets, and new stainless steel appliance, and a gas oven-range for cooking! Carpeted Master Bedroom with walk-in master bathroom with a beautiful tile shower! Second bedroom is accompanied by a separate full bathroom. Central air conditioning and ceiling fans in both bedrooms. Fully finished spacious basement with plenty of head space and potential room for a third bedroom. New roof with silver aluminum coating with 8 years remaining on the warranty. Updated utility room with large closet, plenty of storage space, dryer in unit, and new washer in unit!